Kodi media center is now a huge software solution with many features and modules to it. For this reason, it is at the top of our list of best media server software. With the ability to install your own addons and customization's it has the potential to become a huge install. Because of this it is important that you manage your setup and have a strong Kodi maintenance plan. 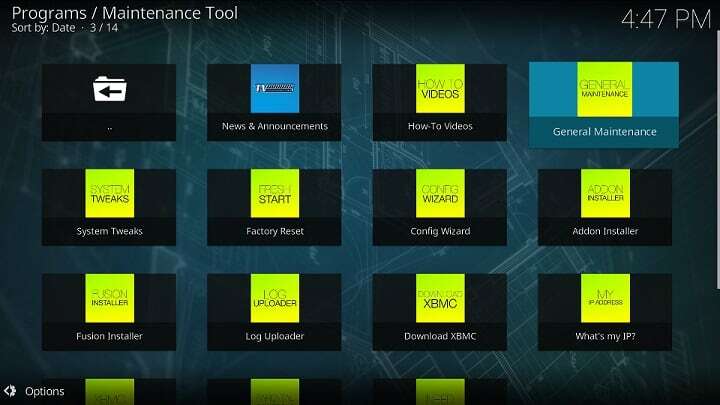 Fear not, the addons for Kodi maintenance listed in this post will make this easy for you. There are a number of Kodi addons for maintenance out there that can do this job for you. In this post we will take a look at 7 of the Kodi maintenance addons available and look at what they can do for your HTPC system. I have tried to incorporate a range of Kodi utility addons including backups, library updates and cleanup tools. One of the essential addons for Kodi maintenance is Backup. 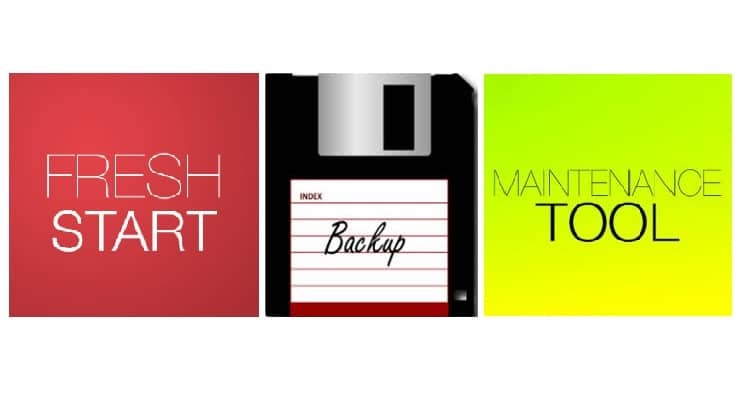 Backup has been around for a long time and is simply a must have! 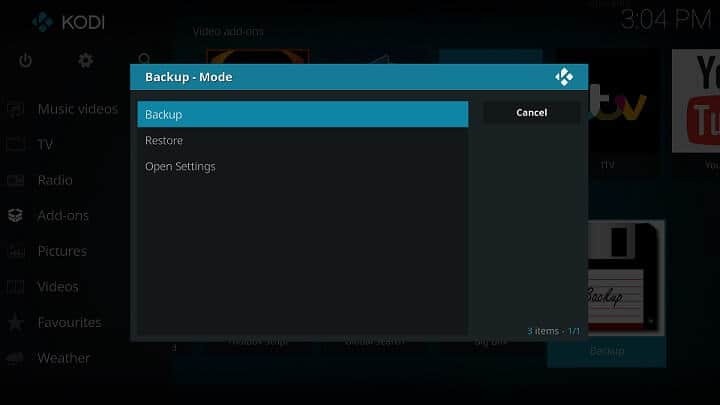 Backup provides a user interface for backing up every element of your Kodi system and at whatever level you see fit. Within the addon you specify which areas of Kodi you would like it to backup. The list includes, settings, profiles, addons, libraries, art work and much more. When you have selected your back set the addon will save your system to an attached USB storage device or a network file share. You can then use the same Backup addon to restore to a clean install of Kodi. Maintenance Tool is one of the most complete Kodi maintenance addons packages. It is full of features with tools to complete just about any Kodi maintenance task. It can be used to backup your system and restore it onto another device. The package contains a whole host of system tweaks you can use to improve the performance of your solution and get it doing things that are not possible with the standard build. It contains tools for editing the Kodi folder structure and performing configuration tasks that cannot be done with the standard Kodi GUI. You can use it to clear Kodi cache to improve the performance of your system and stop Kodi video buffering. One of the nice features of the Maintenance Tool addon is that it comes with built in “How to” videos. Download and install the addon and then watch tutorials on how to use it to improve your system. Maintenance tool comes with everything you need to manage your Kodi HTPC and keeping its performance at the highest level. The Maintenance Tool addon is available for install from Addon Installer. If you are someone who regularly downloads new movies and music then this is for you. Library Auto Update tool is one of the Kodi utility addons that can automate tasks and make life easier. 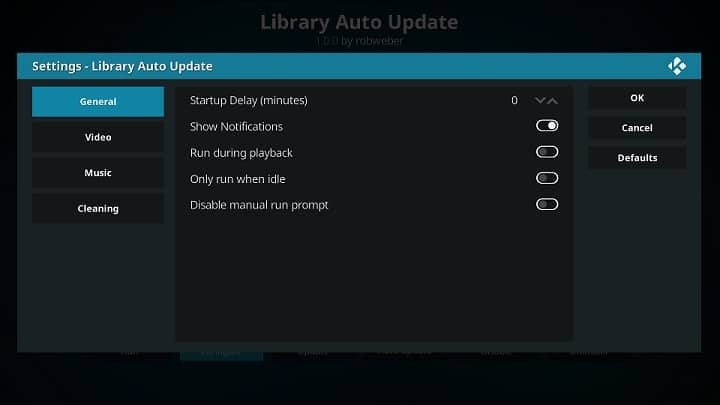 Library Auto update is designed to automatically refresh your Kodi libraries adding in new content and removing files that are no longer present. It will update your artwork sets and keep your media libraries up-to-date. You can customize when the auto updates take place so that your media experience remains uninterrupted. Library Auto Update and other Kodi utility addons can be installed from the official Kodi repository. Log Viewer for Kodi is one of the essential addons for Kodi maintenance when it comes to fault finding. It is a simple yet highly effective tool. It gives you the ability to view your Kodi log file without having to exit the application and navigate through the Kodi folder structure. 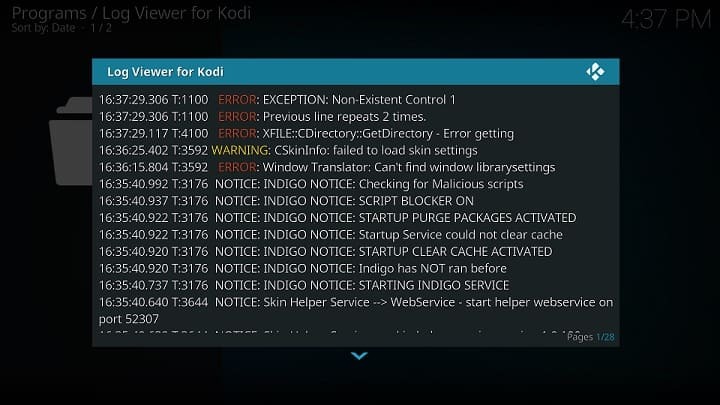 Log Viewer for Kodi is one of the Kodi maintenance addons that will allow you to quickly diagnose issues and implement fixes. It is extremely easy to use and will simplify your maintenance and fault finding tasks. 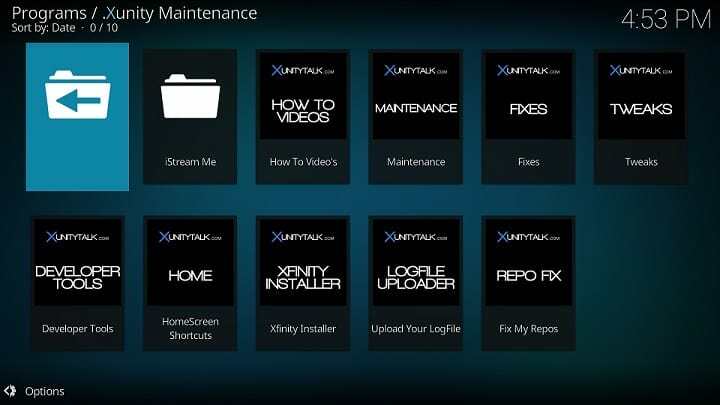 Similarly to the Maintenance Tool addon, Xunity Maintenance is a full toolbox of Kodi maintenance applications. This is one of the Kodi maintenance addons that contains fixes for just about anything and tweaks to really get the most out of your Kodi solution. You can use it to customize different areas of your Kodi skins and it makes adding new menus simple. With Xunity Maintennce you can export extracts from your log file and upload them directly to the Kodi forum for assistance from the wider community. Fresh Start is one of the Kodi utility addons that does exactly what it says on the tin. You can use it to restore any install of Kodi back to its factory default configuration. It will remove all connections to media libraries, all configuration settings, user profiles and skins. Fresh Start gives you the ability to start a new HTPC without having to reinstall Kodi. Fresh Start and many other kodi maintenance addons are available through Addon Installer. Please ensure that you backup your Kodi configuration prior to using this addon as the effects are irreversible. One of the most difficult Kodi media libraries to maintain is your music collection. With movies, Kodi is able to easily determine each movie and can allocate box art and synopsis information accordingly. With your CD collections it is not so clear cut and you often find albums that are missing box art and look out of place in your collection. cdART Manager is one of the addons for Kodi maintenance that addresses this problem. It offers a broad library of CD box art and gives you the ability to customize individual albums. You can change the box art file type / download folder and alter the text that supports it. cdART Manager will allow you to get your music collections to where you want them to be and will simplify maintaining them. 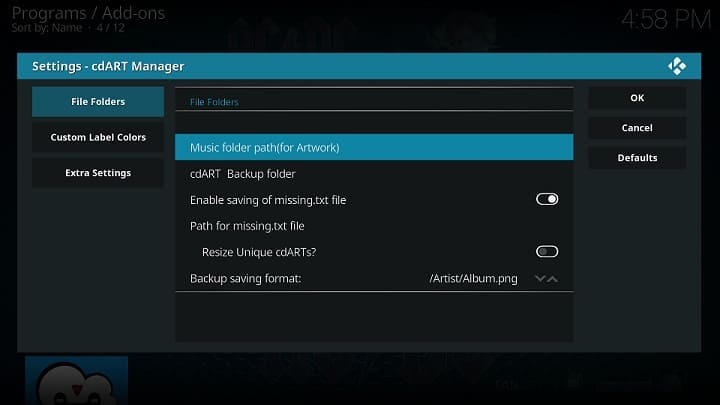 cdART Manager and other Kodi utility addons can be downloaded from the official Kodi repository. On some low end Kodi boxes, you may get a warning saying that the device is out of space. For example, the Amazon Fire TV and Stick throw a space not available warning. The solution here is to cleanup your Kodi setup by removing obsolete thumbnails, clearing cache, etc. This where some of the Kodi maintenance addons listed above can come in handy. The addons listed above should cover most of your Kodi maintenance situation. If you have other thoughts please do share with the rest of us in the comments section. How to Install CouchPotato on Docker using Kitematic GUI? Kodi Beginners Guide p1: What is Kodi?